When Leonardo da Vinci had undertaken to start the painting of the Last Supper, it is reported he had, by sitting motionless for days before an untouched canvas, greatly displeased the Abbot who had ordered the work. Which of the sensitive art critics and scholars can afford to be unaware of the real need for that preparatory period of sitting still, doing nothing, abstracting the consciousness from the environment, time-space awareness, bodily existence, and reposing it in a great calmness and apparent inactivity? Such a discipline which annoys those who are strangers to the phenomenon of the creative activity, is just the discipline that governs the inner life of the bold spiritual seekers of the divine Truth which is the absolute Beauty and Delight. Whether one sits still, motionless before an untouched canvas, or the grandeur of Nature, or that which something in one's heart of faith perceives, or that which one knows to be God, or a stone not yet chiselled, or a great architectural edifice not yet planned, or a piece of furniture to be fashioned - it is the same discipline implying calmness of consciousness, contemplative concentration and force for receiving the creative idea, vision, experience. When, in moments of contemplative calmness and intensity, the creative urge in the artist is aroused to full activity, and given a free reign, it stimulates into function the intuitive forces, and involves disciplines comparable in their rigour to those that the mystics, the sages, the men of God-consciousness, impose on themselves. In such a condition, the creative urge implies an experience spiritual in nature and aesthetic in effect, and contacts such images of beauty which are ideations and determinate aspects of the indeterminable infinity of the Beautiful; raises such structures or art-forms in stone or sound, in line or colour, in word or life, which elude once for all the all-effacing hand of time. Such art-forms exert varied inspirational and cultural impress upon the generations of mankind. However, there have been, are, and will always be, some artists who owe their states of creative consciousness to the purity, serenity, and tranquillity of their inner nature. They have no need for any external stimuli. Having arrived at higher stages of evolution, they find inspiration is a normal state of their mind. Great illuminations rise in them as naturally as thoughts rise in a normal individual. They dwell in intuitive planes of consciousness as effortlessly as do the normal individuals in planes of instinctive experience. Art for the purpose of God-experience had, in the world-culture, dominated at least the Indian genius. An independent and critical examination of the aims of art, and a deeper grasp of the full implications and phenomena of art for God-experience, will disclose to us that art undertaken with a view to unfolding the various excellences of the divine Consciousness within us, - for the experience of the ultimate Ground of all existence, beauty, goodness, perfection, delight, - fully fulfils and transcends all aims and ideals of art. Something of Michelangelo and Raphael, of Bach and Beethoven, of Plato and Aristotle, of Copernicus and Columbus, of the saints and mystics, of the greatest geniuses in the creative fields, is latent in each of us. This fact pre-eminently accounts for the natural and spontaneous love we bear in our hearts for these great geniuses, and for the intrinsic capacity we carry in our intelligence for appreciating their works of unusual merit. A kinship subsists between them and something in our soul. The great artists and we are one, in the Beauty that they create and present, and that we appreciate and delight in. Children of omniscient Godhead that we are, we enshrine in ourselves, by this very fact of our relations to God, the longing for knowledge, the irrepressible longing for endless knowledge. Like the dying Goethe, something in us exclaims for Light, more Light, Knowledge, more Knowledge. Bearing as we do, in the inner recesses of our being, God's Omnipotence, we possess a capacity for indefatigable efforts, a will that is unbending in its restless struggle for Light and Perfection, in its determined action for a mastery over the ugliness and the imperfection that Matter, in its dullness and distorting heaviness, imposes on our environs and ourselves. Being offsprings of God as the ineffable Beauty, we have in us the aspirations after an experience of the beautiful in the diversity of its form, type, manifestation. Our hunger for the things beautiful can be overcome by nothing. It grows rather than decreases; it can be satisfied by nothing until we have in our experience the infinite Beauty. 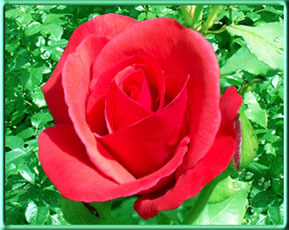 The instincts for Beauty have their consummate fulfilment only in the realization of God as the all-beautiful Reality. Sons and daughters of the immortal Delight that we are, nothing in the world succeeds in suppressing our instincts for happiness. The search for happiness, more happiness, persisting happiness, characterises all existence. Nothing that is created has any real rest, until it consciously subsists in the Infinity of Delight that ultimate Truth is. Born of Delight, sustained by Delight, we have for our mission on earth a conscious recovery of our absolute status in the Delight. Our nourishing roots are in the infinite Reason and the all-creative Thought that God is. Therefore, to inquire, interrogate, be critical, and also to examine the foundations of our being and of the world we inhabit, are characteristic functions of our intelligence. A readiness to create beauty wherever possible, a sensitiveness to the presence of beauty wherever existent, a generous appreciation of the world of beauty wherever emergent, these are activities that are inseparable from the Consciousness that dwells in us. The love for the good, the search for the truth, the need for a peace that does not pass away, the hunger for a joy that never perishes, the longing to approximate ourselves to higher levels of perfection, are as natural for us as it is for the rivers, wherever they be, to flow towards the sea. They cannot be separated from us, even as coldness cannot be separated from snow, and heat from fire. Awakened in intelligence, and sensitive in inner nature, the great among us are able to perceive these faculties and functions of the human consciousness, these innate capacities and spiritual tendencies. In these great men they are most predominant, and seek for continuous expression under varied circumstances. A little of the sensibility to beauty and a little of that brilliance of mind, constantly seek to assert themselves in most of us. Therefore, the great artists who produce works of classical excellence and merits, arise from amongst us. Though physical in embodiment, limited in the mind we own and use, we must admit that there is something in us that is non-physical, non-material, deathless, and has dimensions that are infinite. Intelligence is no prerogative of any particular individual. It is a universal characteristic of life. So is genius. In the generality of mankind, genius in all its forms lies undeveloped, never dead. This latent and least operative genius in persons, understands, appreciates, preserves and uses the production of the world's greatest men of unfolded genius. Intelligence alone can understand the works of intelligence. Love alone can respond to love. Artistic endowment in us alone is capacitated to react to the expressions of the artistic genius. That which is in the greater is also in the smaller. Therefore, a kinship between them subsists, and an intercommunication is made possible. In essence and substance, the higher is not different from the lower. It is the wider, or the more intensive, or the more exalted self-expressions of the higher that distinguish it from the lower. The subjective divine Consciousness which is the basis of our experience of the beauty in the objective field, is itself the source of all beauty. Who would deny that we carry in ourselves something of the beauty which we admire in the external world? The source and the beauty of the timeless, time-defying artistic works, are there in the foundation of our essential being which is everywhere and everything. The originator of the creative consciousness and activity that, through Michelangelo, fashioned the sculptures, through Goethe wrote the poems, through Beethoven composed the symphonies, is in everyone. What is it that recognises the merits of an artist like Fra Angelico, but that Something deep down in us that is itself an artist, or the perceptive power that properly belongs to an artist? Some unfolded or awakened power of intelligence in us, seeks to admire the philosophical works of Immanuel Kant. If poetic sentiment and power were completely absent in us, there would be none among us to esteem, and be delighted by, the poems of Shakespeare or Homer. We seem to bear in ourselves some of the characteristic functions and aspects of the highest divine Consciousness. If these faculties were not in us, if these functions of the creative intelligence and consciousness were not latent in us, we would have nothing in us to admire the grand classical works of the great European artists. There would be no insistent demand in our constitution for Beauty, for Harmony, for Perfection. There would be neither the restless desire to extend the frontiers of our knowledge, nor that inquiring spirit that seeks to penetrate into the source of existing knowledge that we have piled up around ourselves. Something of the spirit of Leonardo da Vinci in us, seeks to admire the genius that shone through him. Transcendental in aim, spiritual in motive, contemplative in expression, Indian art is sublimating in its immediate effects. It is fraught with profound suggestions and a high illumination for the discerning intelligence. No great art scholar and critic in the field of world art, would fail to see that Indian art stands unchallenged and supreme in the galleries and the auditoriums of the world, not so particularly in those specific excellences to which the ancient Grecian and modern European arts lay a proud claim, - but primarily in its essential spirit, features and characteristics; in the background of the loftiest intuitional and religious experiences it commands; and in the unique distinction it has of having evolved, in the aesthetic environment, an independent technique of envisioning, approaching, experiencing and expressing the several nuances of the Divine as the absolute Beauty and the absolute Delight. Whether it is the architectural magnificence of the temple at Kalahasti, or a sculptured figure of Nataraja, or a fresco painting in the Ellora caves, or a poetic structure evoked either by a Vedic Seer or by the creative mind of Shankara, or the songs of Tyagaraja wrapt in the enthralling forms of melodic sound, - we are moved to a wonder at, and an admiration of, the genius of Indian art as the crown and culmination of the heights of spiritual possibilities to which art anywhere in the world can justly hope to rise to, - the result of revelations received in states of spiritual consciousness raised by highest forms of inner discipline, and rarefied by a distinctive type of spiritual askesis. All beings, however low in evolution, all actions however trivial in their nature, all things however lifeless they may appear to be, bear the stamp of the Light of the Eternal. With the perishing of the things temporal, the Eternal in them does not perish, but withdraws itself in order to recreate new temporal forms that lodge its Being and express its Beauty. The all-governing Principle of the Beautiful, the Truth that is itself Beauty, is to the illuminated men of wisdom and love, the artists of the keenest and greater sensibilities, visible; and to the unilluminated ones, concealed. The Splendour of the all-sustaining Truth is shining equally in all creation, - in the man toiling in the field, in the birds and the beasts of the forest, in the blossoms of the garden, in the waves of the sea. There is only one law of Life and Light that is pulsating in the veins of the contents of the entire universe. Everyone and everything in creation is a piece of art. All that we see is but the manifestation of God's art. We are His Art, vivifying His Might, reflecting His Beauty, and expressing His Grandeur. Through the intelligence of Albert Einstein, the divine Beauty discovers the delightful scientific truths. Through the soul of Beethoven and Bach, the divine Beauty composes immortal music. Through the abilities and gifts of Raphael, Michelangelo, Albrecht Dürer, It pours itself out as artistic forms of enduring beauty. Through the affections of a mother, It expresses itself as tenderness and grace. In the hard-working men, we find It as efficiency, order, and the results of their productive labour. Our senses are so dull that we fail to discern the operations of divine Beauty in simple things, common men, ordinary environs, and behold it only in that which startles us, strikes us by its size and proportions. The greatness of an individual rests upon the extent and degree to which he seeks to express beauty in thoughts, or in feeling, or in character, or in personality, or in perception, or in action. Things and persons endure as long as they continue to express beauty in one or the other of its myriad forms. When a thing becomes ugly, or turns bad, or ceases to express beauty, it loses its capacity to persist; it is subjected to destruction only to be transformed and remade in accordance with the laws of Beauty. In every person there lie hidden, the eyes of the painter and the poet, the sensibilities of the artist, the beauties of the reflective and inquiring intelligence that philosophers and thinkers own, the grand abilities of the great administrators and builders. Every heart has a dormant feeling for Beauty, and grows aware of Perfection, and the need for the attainment of it, at one time or the other, in one condition or the other. The infinite Being sustains the universe not by standing back from it, not by staying in the transcendent Beyond, not from a place inaccessibly far off, but by being in the universe, while all the time exceeding and transcending all that it has manifested. The Infinite is itself the bricks with which the universal structures are built. The universe is nothing but the Infinite itself in one of its possibilities and conditions. In its own being, the Infinite has formed the universe, and is Itself in it, while all the time infinitely transcending it. The thoughts that we raise in order to create an artistic work, are in our consciousness, yet our consciousness is greater than those thoughts, is not bound by those thoughts, not lost in them, and therefore can at any time dissolve them, create new ones. Our thoughts do not sully, or mar, or affect, our consciousness in any way. So, the universal systems brought into existence by the Infinite, and in its own Being, do not in any way sully, or affect, or delight, the Infinite. Every speck of space treasures the inexhaustible abundance of Goodness, of Godliness, of Beauty. One has to liberate one's intellect from the distorting prejudice, exalt and widen one's consciousness, in order to obtain the vision that beholds the infinite Spirit shining in, and through, all matter, that finds the great Reality revealing itself in, and through, the temporal appearance. Not to be overcome by this world of matter, mind, life and limitations, but to overcome, rule, use and ennoble it, while yet being on earth, - and to live in, and from, the boundless world of Freedom and Beauty, Power and Light, - is the purpose of our existence. Purified in nature, exalted in intelligence, illuminated by love, they that have the needed perception, see everywhere the Face of the infinite Beauty. They encounter in all circumstances and environs of experience, the same Soul of infinite Consciousness and Sweetness. To them the stellar regions rehearse the celestial music, and all matter intones the Voice of God. They are the true Sons and Daughters of God, and it is through them that God accomplishes great things for all mankind. The Soul in all Nature recognises them, responds to their presence, and delights in them, and they in turn behold and delight in the Soul enshrined in all Nature. When the Intelligence in man is freed from the hold of the senses, and liberated from human limitations, it reacts to the highest Intelligence that governs the cosmic processes. Man is not really man, until he evolves beyond all that he is as a thing among natural things, as a physical and mental being. Common things are not so ordinary and uninteresting as we think. It took the genius of the great German philosopher Kant to be deeply moved by the starlit sky, and to attest that it discloses God's immediate Presence. The night-sky may be such a common thing, but one must possess either the heart of a little child to wonder at it, or the mind of a thinker of outstanding genius to be moved by it. Untutored and unlettered, yet illuminated, the Psalmist in the Bible exclaims to God, "The firmament discloses Thy handiwork". Centuries roll by before human intelligence sees something extraordinary in so ordinary a phenomenon as the water boiling in a kettle, and revolutionises the world by the creation of the steam-engine. No-one will deny that the falling of an apple from the tree is so common and so uninteresting, and yet in it the discerning intelligence of a genius perceives a law that moves the scientific world. Hundreds of small things which common-sense dismisses as unworthy of attention, are for the scientific intelligence extraordinary, and to the spiritual awareness, revelatory of the inner invisible Kingdom of God. Neither the coal-mines are without their diamonds, nor the reeking ponds without their lotuses. That broken wall of the dilapidated house makes no pleasing sight to the common eye, nor is it a fertile field; yet from the crevice in it one finds a tiny plant, shooting up with colourful flowers. Empty space is empty and unpleasing to the ordinary man, yet science today speaks of it as a kingdom of plenitude, and spiritual experience knows it to be full of the all-creative Presence and Consciousness of God. Whatever a person with the right insight sees, bears the touch of the divine Artist, the workmanship of the supreme Painter, whose Beauty is ineffable, and whose Name is the supreme Wonder. We cannot imitate Him, but since He made us, we have in us all that is in Him, and therefore there is in us the urge, the inexorable urge, to turn everything to the Perfection that He Himself is. Since this urge is from Him, it is accompanied by the necessary capacity to achieve what it is aiming at. Art, then, is not art unless it is governed by this urge that we have inherited from the supreme Artist that God is. For greater harmony, beauty and delight in social relations and life, individuals should not only seek to understand and appreciate, but also awaken and stimulate into action, whatever is best in each other. Social life acquires artistic and aesthetic qualities, and delights and elevates the human heart, nature and consciousness, when we encounter with patience the impatience - and arouse the capacity to be patient - in the others; meet with love the hatred, and elicit into action the love, in the others; return understanding for misunderstanding, and appeal to the understanding in the others. Rudeness in all its forms, injustice, unfairness, moral weaknesses, these are unaesthetic. They disfigure individual and social life. They deprive human mind of peace, human life of progress, and destroy the possibilities and circumstances for rapid human evolution. Social life rises to transcendental beauty, and discloses its heaven-making dimensions, when the individuals discern in each other the Presence of the one Divine Consciousness, govern their personal and mutual relations in Its Light, and express Its essential qualities and powers. Artists are many. Artists belong to a diversity of categories. Some artists paint pictures, some produce music, some make pen-portraits. Some artists chisel stone into lifelike forms, others work wonders with many kinds of material. There are artists and artists. Above them all there stands the rare artist, the best of artists, enwrapping himself in the delights of self-culture and self-sculpture. His is the joy of the nurture of the principles in his being that endure beyond all time-eternity, and are conserved in the Being of the timeless Reality. He pursues a knowledge of himself in all humanity, of himself in all Nature, of himself in the Divine. He so acts in life that he eludes the insistent manifestations of the ego. He is wary in intelligence, ever awake in vigilance at keeping a league away from himself the claims of the lower self, the crudities of the egoistic modes of consciousness; and plunges each of his energies, the whole of his interest, his will, his being, into a self-oblivious absorption in the continued and unbroken services of a varied form to the Divinity in humanity, the Divinity who claims the devotion of the whole of his heart. The real artist is a labourer on a grand spiritual scale, working with a secret inner joy that is known to those that take to disinterested works. He is a servant not of the humanity as such, but of the Divinity in humanity, - which the soul in him is susceptible to, the feeling in him senses as a palpable Presence, the energies in him gravitate themselves towards, with an overwhelming passion and force. This is the divine selfless worker, living a life in accordance with the rules of the inner Self, in conformity with the laws of a Nature that transcends anything conceivable on earth, a life lifted up into selflessness and stationed there, a life lived in self-sacrifice, in unquestioning self-giving. It is a life laid in the very spirit of the type of service that looks for no reward, asks for no privileges, seeks for no results. It is a service that strains itself towards nothing except for the needed grounds and an unimpeded opportunity for exercising itself and exhausting the last pint of the residual potencies of self-sense, egoistic behaviour, individualising, finitizing tendencies. It is a life in the grand, dynamic, divine service, - self-exercising to become an impersonal power, universalising, infinitising itself; exercising itself for transmitting to the unhappy humanity on earth, something of the Delight of the Divine Existence. A real spiritual aspirant is a fine artist. Gentle in spirit, sweet in nature, full of love, faith, wisdom, pure in heart, he is highly sensitive to Truth, Goodness, Beauty, the Divine Presence. His life is disciplined, refined, elevated. His perspectives are wide, his heart is broad, and there is a beauty in his simplified life of divine dignity. His inner calmness has a beauty that no artist can paint, and no poet can portray. His purity has an attraction that no singer, or musician, can depict. His aspiration and his aim no sky can limit. His wisdom is a Light that is ever present, unlike the light of the sun that rises and sets. It is a light that is not, like the daylight, overcome by night, or like the light of a great thinker which may, and does not unoften, fail him just when he needs it most. His presence is a fragrance that does not fade, as does the fragrance of the most beautiful and fragrant flower in the world. Such an aspirant I have been from the seventh year of my life, until at twenty-five the Grace of the all-merciful God displaced my life by its own Life. That was the beginning and this is the endless end of my life. Blessed is the life on earth that can flower into the qualities of all that is the highest in itself. This, in brief, is the beginning and the end of my life, the past and the present of my life, a present that has no end, and is eternal. It is like the wave subsiding into a calm sea, the air in the soap-bubble escaping into the universal air.